Matt Newton (pno); Dan Fortin (bs); Ethan Ardelli (dms) + Felicity Williams (vcl); Harley Card (gtr). Long gone are the days of the traditional trio where the piano was the predominant instrument and bass and drums merely supportive players. And let's not knock it - the trios of, for example, Oscar Peterson, Bud Powell, Teddy Wilson, Erroll Garner and others laid down some of the finest examples of jazz piano the world has known. However, there were others arriving on the scene looking to advance and develop the trio format, allowing more freedom to the bassists and drummers. EST and Brad Meldhau were two at the forefront of this keyboard revolution - a revolution carried forward by the Canadian trio of Matt Newton. 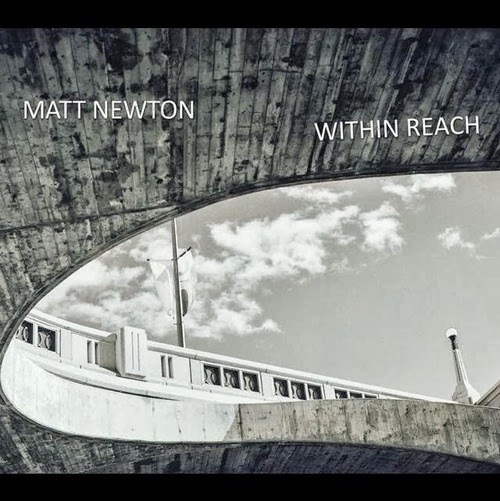 Within Reach, their second CD, comprises seven originals by Newton and one by bassist Fortin. Various moods are encompassed from the funky to the romantic. Ardelli and Fortin, not content to be mere timekeepers, add their own lines - three different routes to the one destination. It works well particularly in the delicate Building the Ship. The addition of Williams' wordless vocals and Card's chords to Our Own World create an ethereal floating space effect. This is a disc for the thinkers rather than the foot-tappers. One to listen to and absorb the harmonies, wallow in the overall richness of sound. If you caught the trio last week at Ottawa, Montreal or Toronto you've probably got the disc already. If not then now's the time.